Great video about how the islands of Hawaii were created and evolved over the thousands of years, making them the most diverse ecosystem in the world. This post has been viewed 13,883 times. Traveling to Hawaii? Be sure to check out these must-see spots! 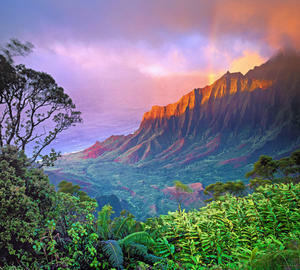 Situated in the vast Pacific Ocean is a 2,400 km chain of islands better known as Hawaii. Hawaii is unlike no other; every island, atoll, and islet have once been a monstrous volcano making each one of these places unique in every way possible.